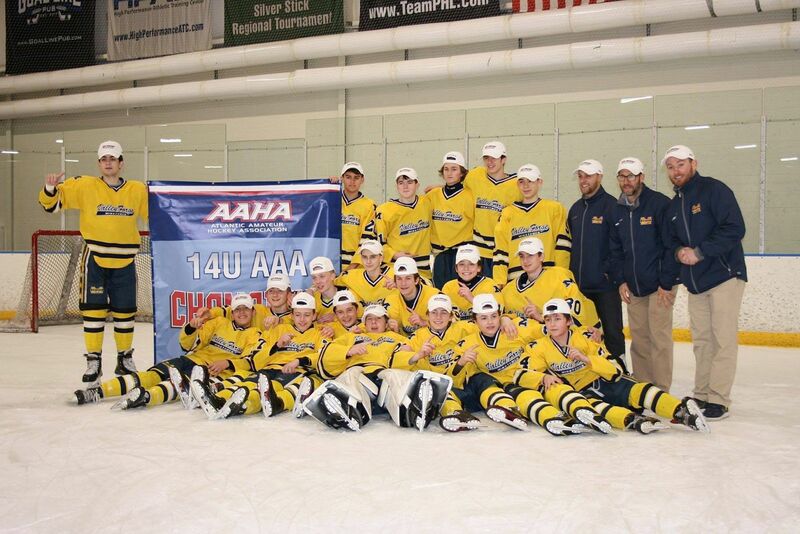 This past weekend, three AHYL teams secured their spot for USA Hockey Nationals. The 14U Valley Forge Minutemen secured their spot with two wins over the NJ Devils Youth, also a member of the AYHL. The minutemen took both games 5-1 Jeffrey Hammond and Billy Batten both had two goals in game number 2 for the minutemen to advance to nationals! The North Jersey Avalanche will once again continue their season at both 16U & 18U. The 16U Avs took on the Mercer Chiefs the avs took game 1 with a game winning overtime goal by Tyler Studant. 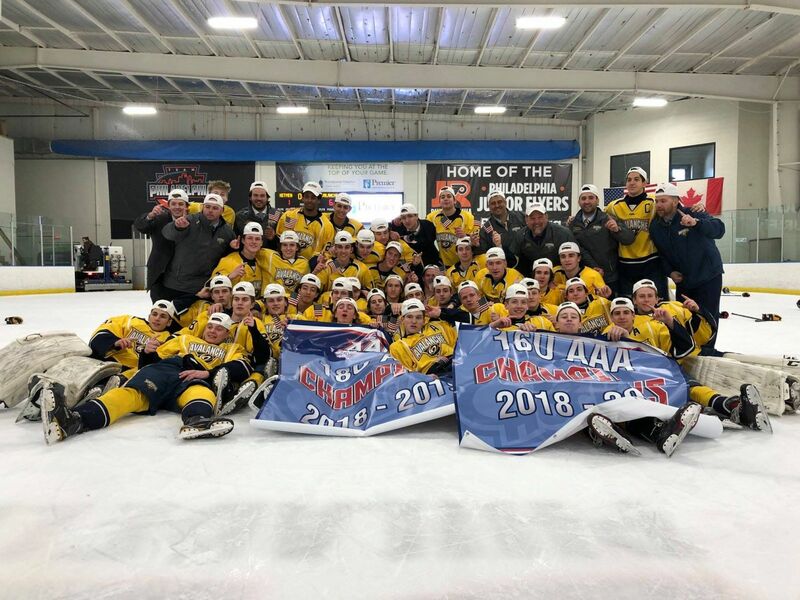 Game 2 on Sunday was a hard fought battle between the two teams but two goals from the Avalanches Michael Cameron sealed it for the North Jersey Avalanche 16U Atlantic District Champions. The North Jersey Avalanche also took a trophy back to the Ice House in Hackensack at 18U AAA. The avs started the first period slow with no scoring. The Avalanche coaching staff must have had something good to say after the first period, because they came out strong in the second scoring five goals to pretty much take game 1 against the Jersey Hitmen with the final score being 8-1! Game two the Avalanche punched their ticket to Grand Rapids, MI. John Lundy led the Avs, with a Hat Trick in game two for a final score of 6-1! Atlantic Youth Hockey League is the USA Hockey-sanctioned Tier I AAA youth hockey league of the Atlantic District. From Connecticut to Maryland, the AYHL’s membership is comprised of over 100 teams, representing four districts, and is spread across six playing divisions. The AYHL’s mission is to develop young players with competition, fun, and good sportsmanship, and move them on to the next phase of their hockey career. With a distinguished alumni list of players that spent a portion of their playing career in the AYHL, today’s players choose to play in the AYHL knowing that it is a proven stepping stone for those serious in their hockey pursuits.